Welcome to Our Garden@19, Within brimfields.com I follow the year, preparing to open for the NGS, while enjoying visiting gardens, the beauty of nature, the plants, the wildlife and a sanctuary to relax in. We purchased the house in November 2004 and moved in during August 2005. During that time along with decorating the house, plants were dug up at our previous garden and potted up ready for the move. 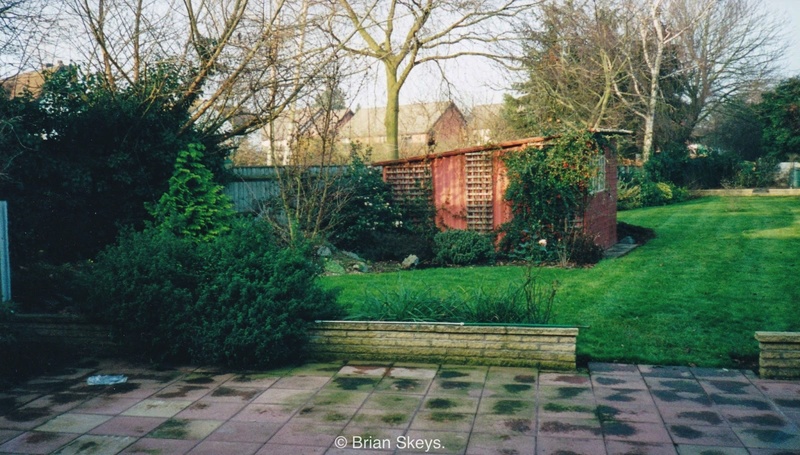 The Garden@19 consisted of mainly lawn with a few shrubs, trees and a large shed in a lovely shade of Terracotta. The only plants remaining from when we took over are a Cherry Tree, a Magnolia soulangeana, a Mohonia and two Rhododendrons.One of the main reasons we bought the house was the size of the garden, not too big to demand too much time (sometimes) not too small to hold all the plants I would like to grow( all the time). I have never dug this garden. Maintaining a healthy top soil through minimal cultivation and mulching is beneficial to the plants, wildlife and the gardeners back! The rear garden is North facing and divided into rooms (Hidecote) essentially so that it cannot all be seen at once. This allows the planting of different garden styles. There is an Oriental garden, a White and Green garden, (a white garden is so last century! 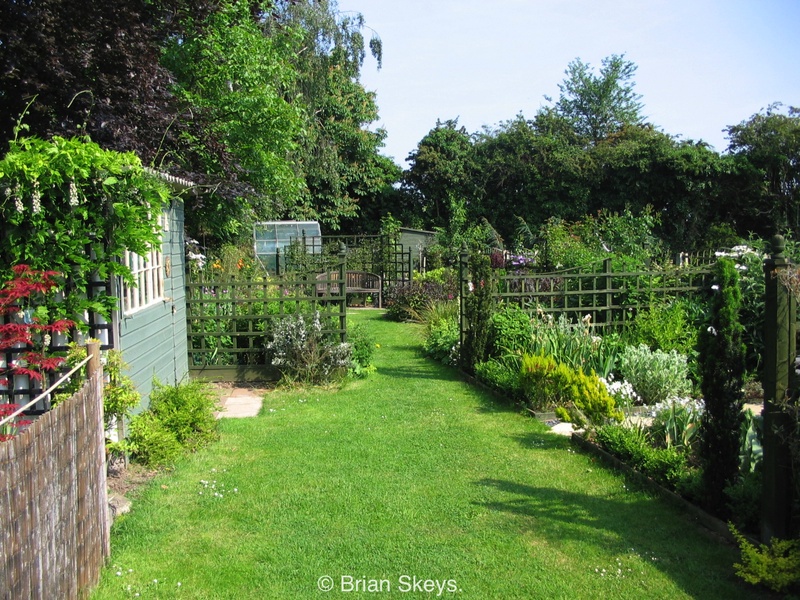 ), a mixed border and a never-ending woodland walk! (this is the Head Gardener’s imagination getting the better of him but if it keeps him happy). Raised beds edge the patio, one contains a herb bed with a special Standard Gooseberry Bush in the centre and two others are planted with tulips and wallflowers for the spring. This is followed by exotics, mainly Dahlias ( Great Dixter) and annuals, trained fruit trees create a dividing line between this area and the rest of the garden. Through a vine and rose covered arch is the main mixed border, The Blue Border. 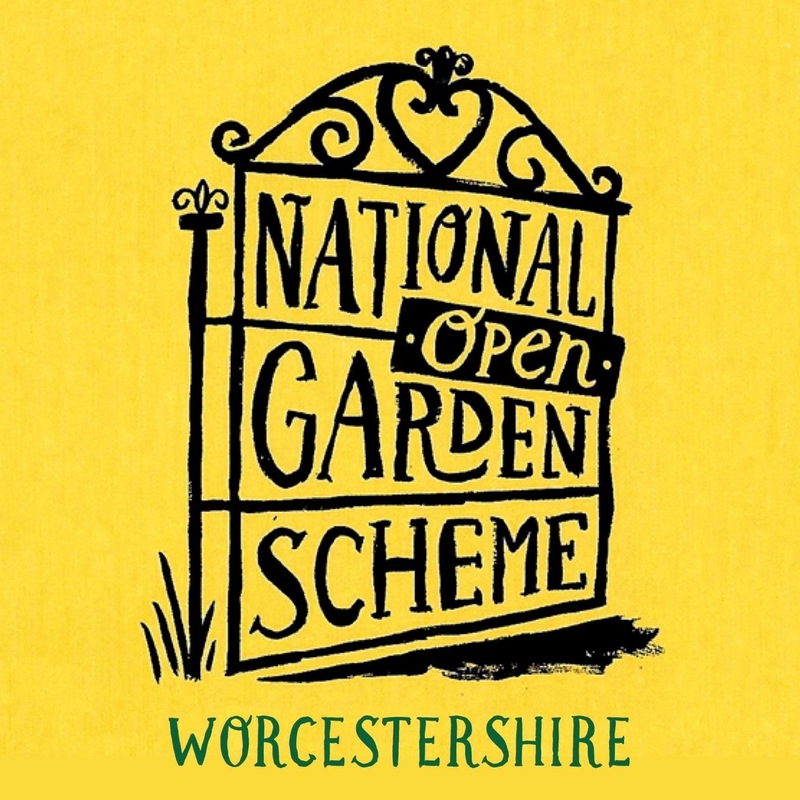 Rosemary Verey was the first garden designer to influence me, from visiting her garden, at Barnsley, Gloucestershire, experiencing the style of planting within the borders and the pottager. Then through her books, with the plan of her Chelsea garden in 1992 inspiring the original layout of what I now call the blue border. (It has changed somewhat since 2005). Why the blue border? It did not originally have a name, we found with people visiting the garden it is useful to name the different areas of the garden. I liked the idea of blue garden furniture having seen some in the garden designer John Brookes garden, I painted some metal chairs and a table blue and renamed this border ‘The Blue Border’. I also use the named areas of the garden in my records to know which plants are where, this is essential to help name plants when propagating for sale on open days. The front is South facing and devoted to car parking, an iris bed, alpine boxes and colourful pot displays(My Little Dixter). Please post your comments, I look forward to reading them. You can visit my first blog: Our Garden@19 using the link on this blog.